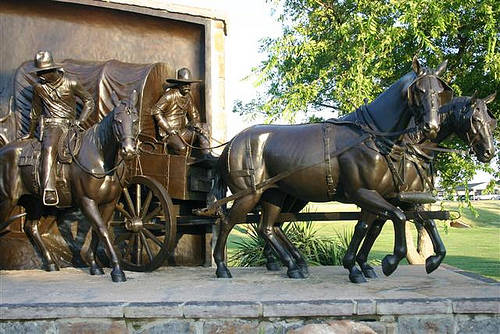 Come discover the stories of the Chisholm Trail at the Chisholm Trail Heritage Center & Garis Gallery of the American West, in Duncan, OK. Make your first stop on the trail in front of the life-size "On the Chisholm Trail" monument at the south end of the grounds. 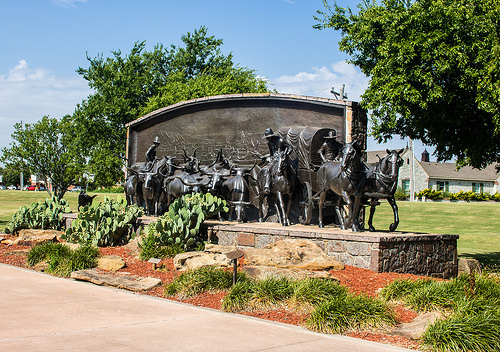 Then step inside this outstanding attraction to really experience the history of the Chisholm Trail. 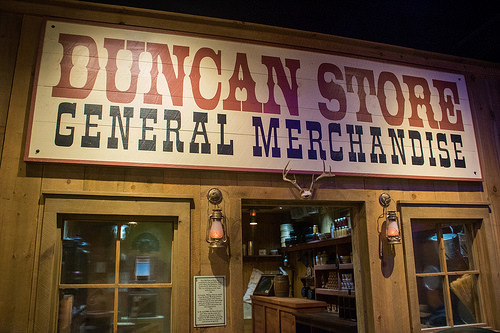 You will quickly discover why this attraction is named a "Best Heritage Attraction" Official Best of Oklahoma in 2018 and a True West Top 10 Western Museum in 2016 as professional tour guides lead you to the 4D experience theater, which puts you in the middle of an Oklahoma thunderstorm and cattle stampede. 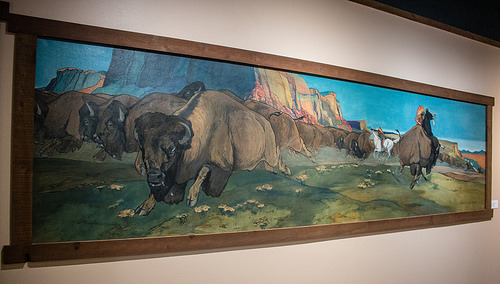 But no worries, you won't get trampled and you'll enjoy the sights, sounds and smells of the Old West. 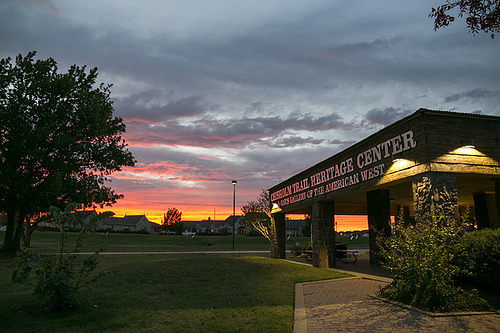 Learn how the Chisholm Trail came to be as you sit in the Campfire Theater and hear Jesse Chisholm and Cowboy Tex share stories. 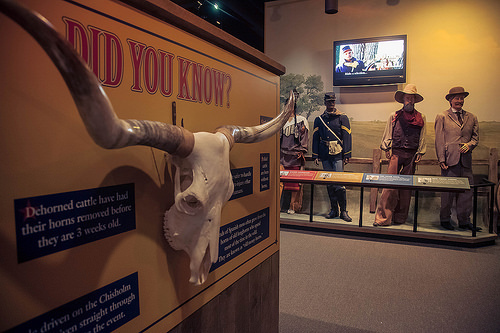 Head into the interactive area and try your hand at roping "Hollywood" the longhorn from the seat of a genuine leather saddle. 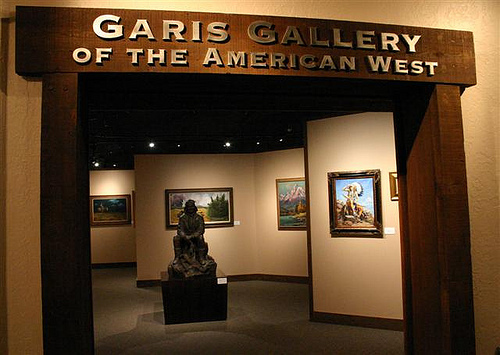 Be sure to visit the Garis Gallery of the American West, where you can see original works by the great Masters of the American West, like Frederic Remington and Charles Russell, or works by Oklahomans Harold Holden, Robert Redbird and Allan Houser. 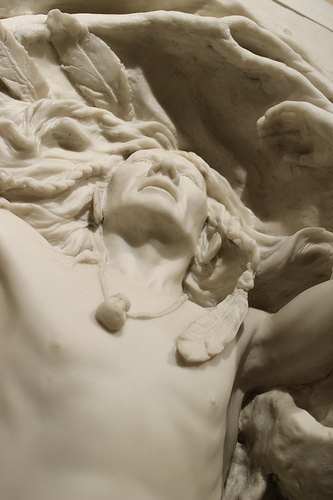 The gallery is also home to works by Prix de West winners like Paul Moore and John Coleman. 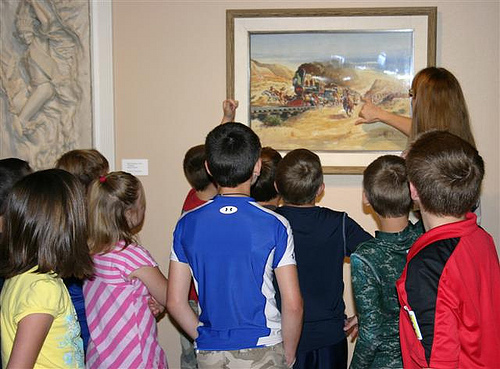 By the time you leave, you'll understand why the center received five awards in 2018, including a 12-year Great Expectations Model School Certification and Oklahoma Travel Industry Association RedBud Awards. Days/Hours: Closed Thanksgiving and Christmas. Open Mon - Sat 10am - 5pm; Sunday 1 - 5pm. Call ahead in case of inclement weather. Tour groups acceptable - bus parking available. Groups of 15 or more, please call ahead. ADA-compliant. From Hwy 81 S., turn R. on Elk Ave. & go 1 mi. W. to Chisholm Trail Pkwy, then .5 mi. S. From Hwy 81 N., turn L. on Beech St.& go 1 mi. W. to Chisholm Trail Pkwy, then .5 mi. N.